Sicilian peasant telling an American soldier which way the Germans had gone. Siciliy, 1943. Ship painted in dazzle camouflage. This kind of camouflage was invented by marine artist Norman Wilkinson to help ships cross ocean unharassed by submarines in WW1. 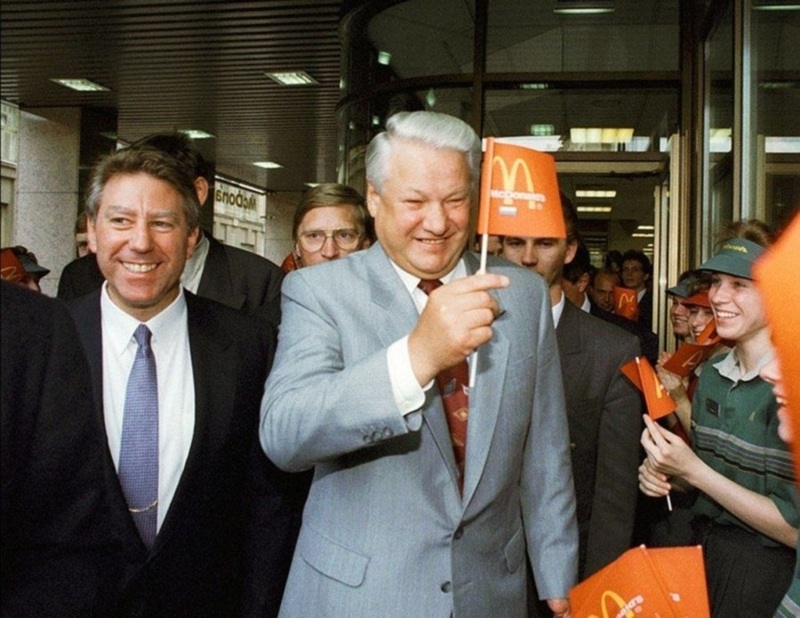 Russian President Boris Yeltsin attends opening ceremony of second McDonald’s restaurant in Moscow (1993). 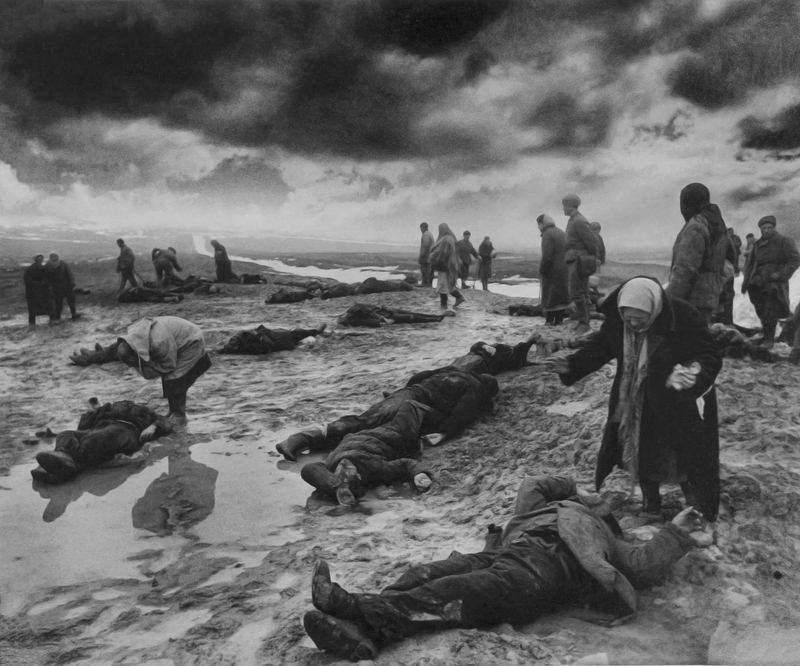 Identifying the dead on the Eastern Front. 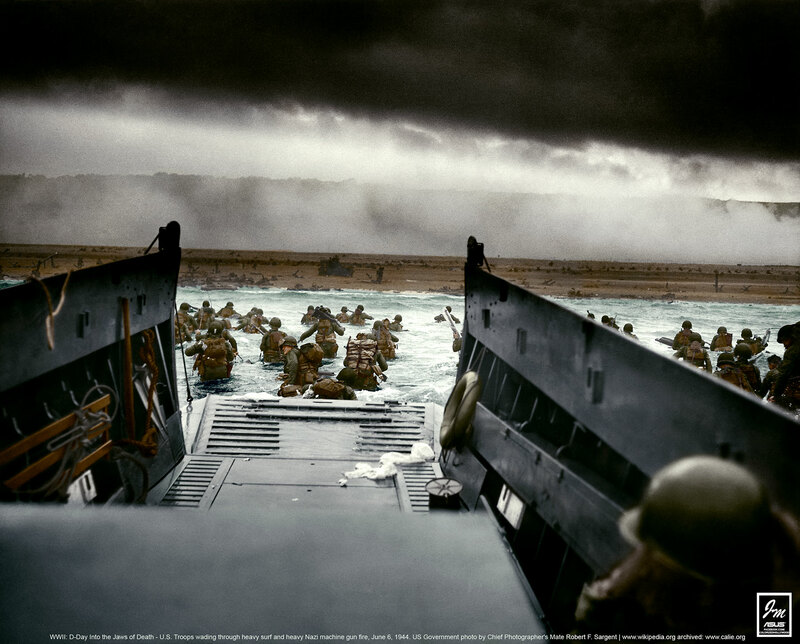 Crimea, 1942.